Gold plated stell mesh woman with attitude! I wanted to make a sculpture of a woman with extra everything. It is plated whit gold leaf and acrylic gold spray. 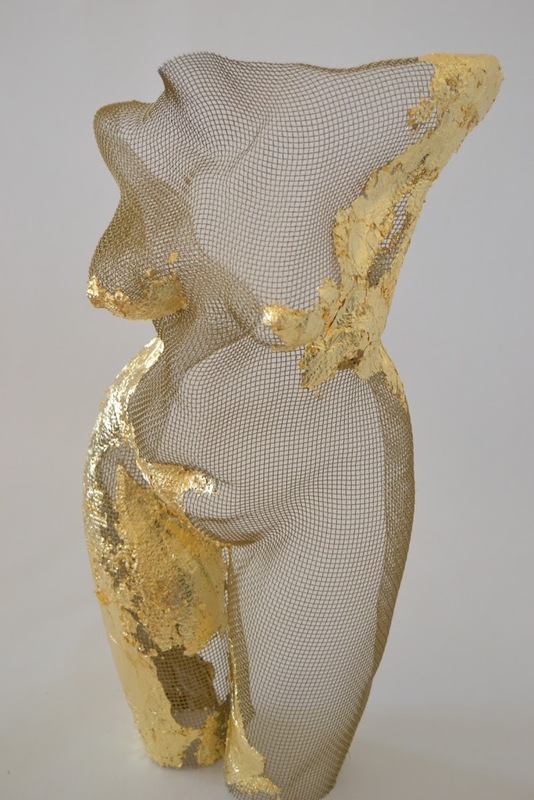 Steel mesh plated with gold leaf and acrylic gold spray. 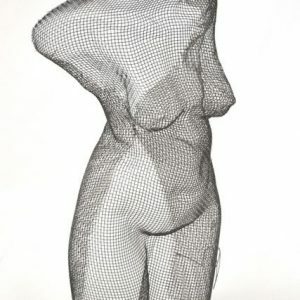 I don't use any kind of form to press the steel mesh. I use a pair of pliers and a hammer to smooth out irregularities. Besides that, I only use my hands. Interested of buying something like this sculpture? I make custom designed sculptures from an idé or a personality traits and I would love to hear your thoughts! Please contact me, and we create something together. 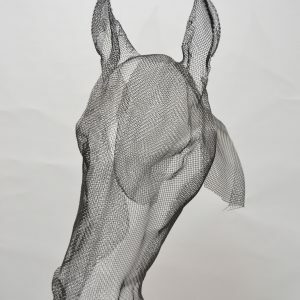 In the process of making a custom designed sculpture I often find myself deeply involved. As a special gift to each unique order, a handwritten note on my thoughts from the process, is placed in each packet. Because the mesh is transparent, one should keep in mind the background. A light, one-colored background is preferred. I would reccommand to hang them from the ceiling, a bit away from the wall. This way you get a floating feeling of the artwork. And you can obtain fantastic shadows when the work is illuminated. Nylon cord for hanging is always included in the purchase.